At Azhagar Kovil dosai is the prasadam offered to god. It's a temple near Madurai. Happened to come across this recipe in Aval Vikatan. Wash and soak rice and black urad separately overnight. Grind dhal and rice seperately to smooth texture. Add coconut, salt mix the batter and let it ferment overnight or for 8 hrs. Heat dosa tawa pour batter, spread it evenly and add sesame oil around the dosa turn over and cook until done. 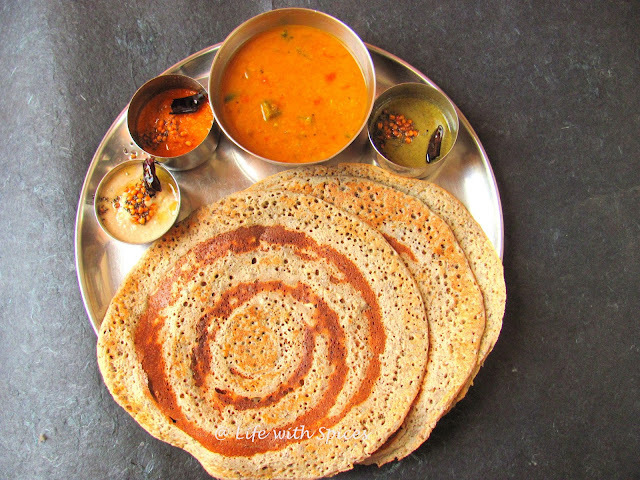 Serve dosa with sambhar, coconut chutney, onion chutney and mint chutney!! Sounds lovely and interesting. Wish I can taste. 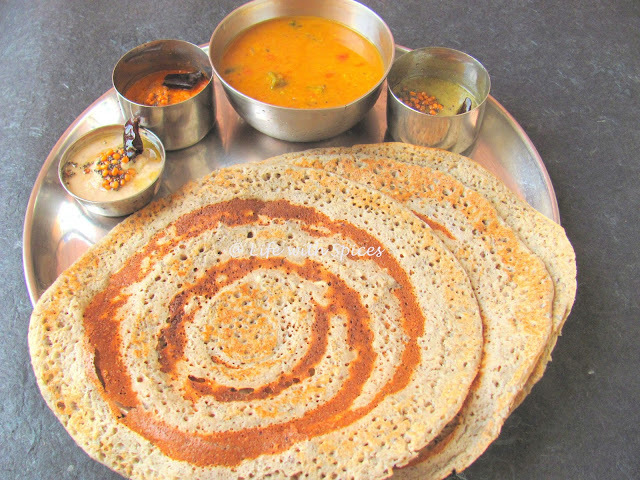 Heard abt this dosa, till now never tasted it..it's looks sooper crispy n yumm..
would love to try this,tnx for sharing such a unique recipe. Dosa recipe looks amazing.Would love to try Kalpana.Thanks for sharing. I had a chance to taste this famous dosa, looks fabulous. Very nice recipe.. love the crispy texture and colour of this dosa. 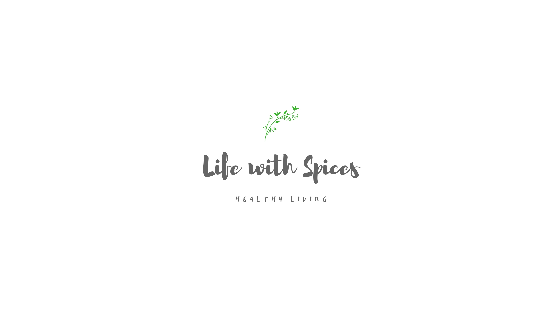 never heard this name dear.. thanks for sharing it..
New recipe to me,looks delish!! Have heard of this dosa, looks very crispy and yumm..
nice crispy dosa very inviting. New to me but I so want to get to that platter right now, beautifully presented my dear!